← “The Visit” by K. H.
Image: “Biltmore Backyard” by Robb Shaffer. 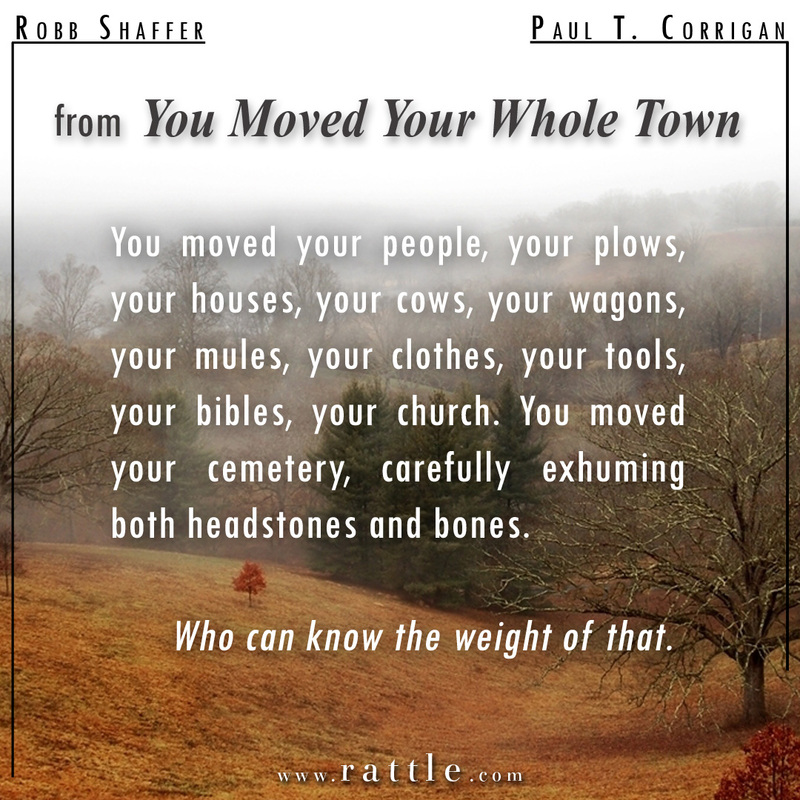 “You Moved Your Whole Town” was written by Paul T. Corrigan for Rattle’s Ekphrastic Challenge, October 2017, and selected as the Artist’s Choice. The fog at the Biltmore Estate hangs thick and low over the rolling hills, the white oak, red maple, and green spruce, the ground yellow with stubble and leaves. 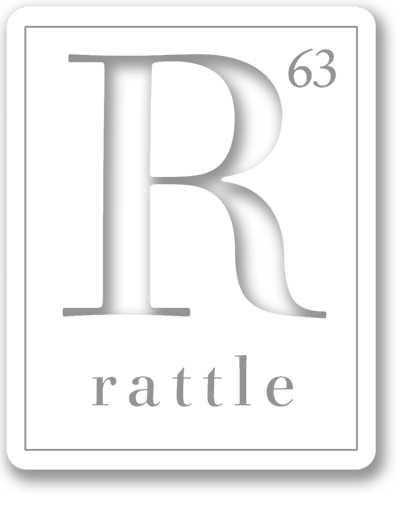 A hundred dollars admission will show you the banisters, the forty-three bathrooms, the Gilded Age. But you need no tour guide. You are an exile returning, looking for your home. For one generation seven generations ago, you lived on this land. Two years after Emancipation, two weeks after Appomattox, two days after a Union general marched through the last of the Confederacy in the North Carolina mountains, you founded a free black town here. Old Shiloh. In Old Shiloh, you built your own barns, you baked your own loaves, you blessed your own God, you betrothed your own lovers, you buried your own dead. In Old Shiloh, your children knew not shackles, for the first time in three centuries. Who can know the weight of that. In Old Shiloh, you lived twenty years, till George Washington Vanderbilt asked you to move. What could you do. You moved your whole town. He didn’t threaten, didn’t have to. You’d had a long education in giving whites what whites want. Why decline the cash. Why risk your chance to start again. Your farms were falling apart, they said. You were happy to sell, they said. You were always happy, they said. You moved your whole town. He paid you to move, more than the going rate, promised jobs, and delivered. You built Biltmore. You tended his trees, grew his garden, cleaned his cutlery, fixed his food. And you moved your whole town. You moved your people, your plows, your houses, your cows, your wagons, your mules, your clothes, your tools, your bibles, your church. You moved your cemetery, carefully exhuming both headstones and bones. Surely, when you moved, you left things behind, things you might now find. The hills stayed. The trees. A broken axle here, a lost axe head there, a chipped plow shear, a mallet, a pulley, a chimney stone, the wild growth from an untilled field. You listen for your own coughs and laughs and love cries. You would have welcomed a neighbor. He came as an owner. You inhabited the land. He uninhabited it. Who needs two hundred square miles of backyard? It’s not the deeds on file at county records that define belonging but the deeds of adults and children walking and working the soil. You, like the Cherokee before you, belong here. These mountains stand older and grander than a white man’s ego. His two hundred fifty rooms can’t contain all this roiling air. The big house will crumble, and Old Shiloh will still be here. You must have known. Because you did not salt the ground when you left.